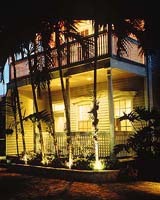 In the heart of Historic Key West....Heron House....meticulously designed by Key West's most gifted artists and craftsmen specifically for you, the discerning traveler. Combining our artistic sensitivity with our open hearts, a genuine sense of caring pervades every aspect of this very unique private retreat. With our love for artistic detail merging with a tropical flair, Heron House lends itself to a casually elegant style in which you will feel totally free, welcome and relaxed. 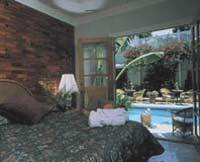 We draped around our rich complex of homes luxurious tropical gardens which, seemingly, penetrate every room as if to share themselves with you. Then, we again enveloped all of this with multi-level decks for you to sun, to lounge, or to view these gardens of beauty from all viewpoints. Our friendly staff is low-profiled...close and responsive when needed, but out of sight when you want to enjoy your much deserved privacy. Heron House is casual elegance presented in a very warm, relaxing atmosphere of luxury without pretense. Here, you will always have the freedom to be yourself. We now invite you to experience our artistry and gentle charm. Come and see for yourself.